The music of brothers Matt and Bubba Kadane has always played with the concept of time: stretching, elongating, and suspending it. The quality defined Bedhead, the Dallas indie rock band they formed at the start of the ‘90s, and it’s continued to develop over the intervening years. 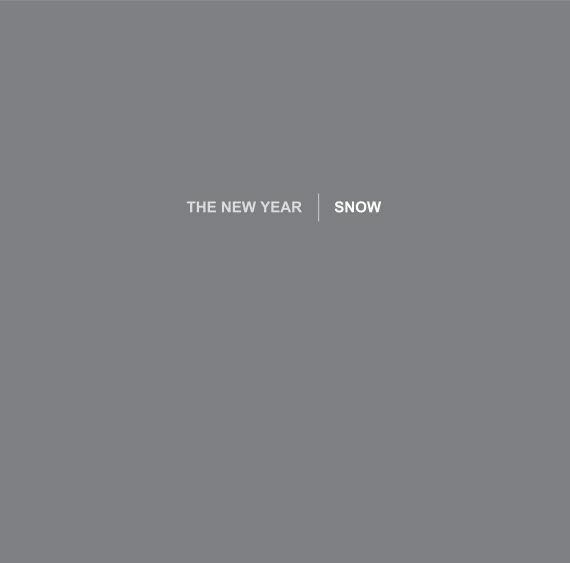 On Snow, their fourth album as the New Year, they’ve matured this kind of temporal suspension. The duo’s trademark qualities are all on display – gently over-driven, interlocked guitars, plaintive vocals, sparse drums, and slow-building crescendos – but the songwriters’ growth over the decades is plainly evident. Like their forebearers Galaxie 500 and Spaceman 3 and peers Low, Codeine, and American Music Club, the Kadanes’ songs have always rewarded patient, close listening, but on Snow, the listener never needs to strain for the melodic charm of their songs. The New Year has never been a hurried band. Part of that’s because, like Bedhead was, the band’s a long distance project. Matt lives in New York, where he teaches history; Bubba in Texas, where he composes music for film and television. But even if the brothers are known for taking their time, the long gap dividing the new LP and its predecessor, 2008’s self-titled The New Year, wasn’t intentional. But the record didn’t materialize, and before anyone quite realized it, nearly a decade had passed. It wasn’t that the duo was inactive. The brothers formed another band, Overseas, with friends David Bazan of Pedro the Lion and Will Johnson of Centro-Matic and San South Gabriel. They released a self-titled effort in 2013 and enjoyed making it so much they recorded a follow-up record almost immediately, which should be released soon. In 2014, the brothers undertook a massive archival project with Chicago’s Numero Group, reissuing Bedhead’s completed recorded works from 1992-1998. The boxset was intense and time consuming — Kadane laughs about being “control freaks” when it comes to the Bedhead legacy — but even beyond that, they found that the longer they lived with their new recordings, the clearer it became apparent that the songs needed more time. But the making the record did surprise Kadane. Despite decades playing with his brother, the process of record making still revealed new things to him. Even after a shared lifetime of creative work, the Kadanes haven’t run out of fresh ideas.